I first met Chef Massimo Zampar a couple of years ago when he was helming the kitchen of Neroteca. If there’s one memorable thing arising from that meal, it was the excellent tagliatellle which he made fresh and cooked it with the most delicious meaty sauce. It was such an exceptional dish that whenever I think of pasta, especially tagliatelIe, Chef Zampar’s creation would always be my benchmark. So, imagine my delight when recently I was invited to check out some authentic Italian delights at Hilton Petaling Jaya’s Uncle Chilli’s Bar & Restaurant, created by none other than Chef Zampar. 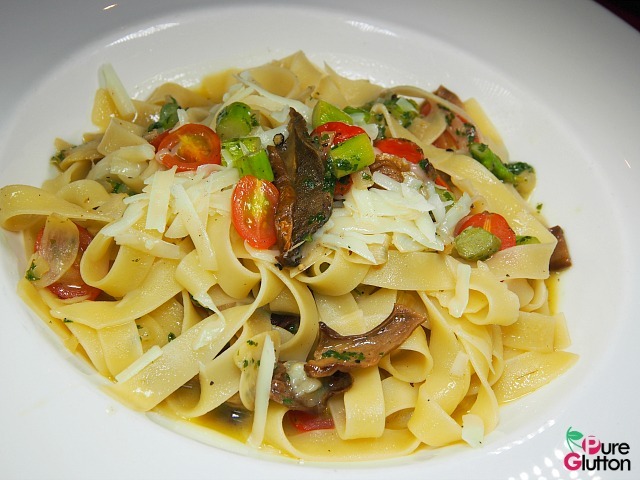 Apart from getting reacquainted with Chef Zampar, I had a chance to savour his freshly-made tagliatelle again. This time it was cooked in a light refreshing vegetarian style with crunchy asparagus, cherry tomatoes and fresh mushrooms. 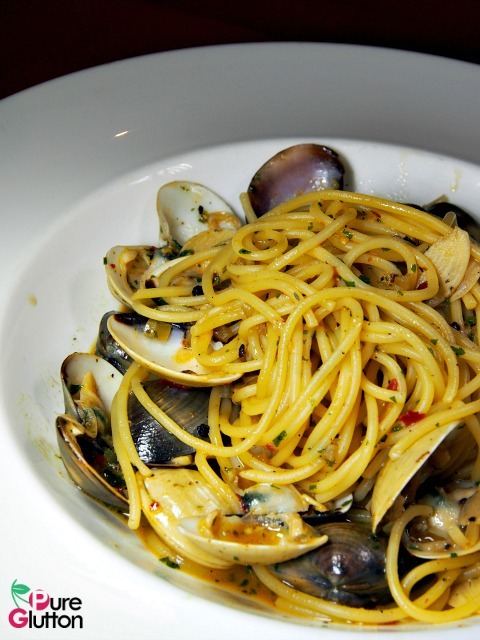 Besides the tagliatelle, there were 6 main pasta dishes to savour: the renowned Eggplant and Mushroom Ravioli and Spaghetti Vongole, served with a flavourful clam broth with fresh clams, chilli and aromatic garlic. 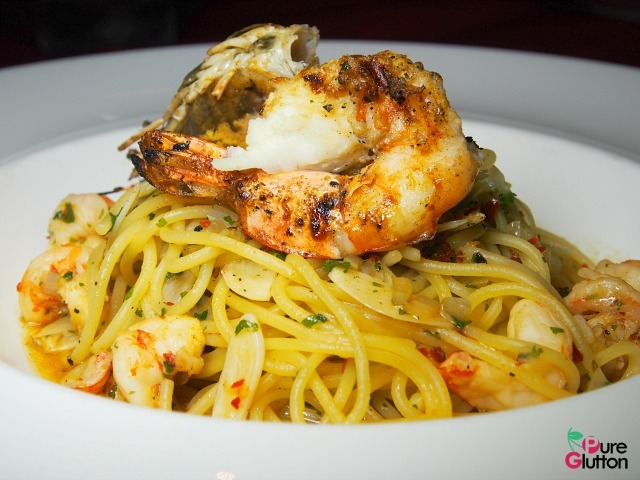 I couldn’t resist my other favourites – the Spaghetti Aglio Olio with grilled tiger prawns and Linguine Aragosta with baby lobster, cherry tomatoes with a spicy sauce. 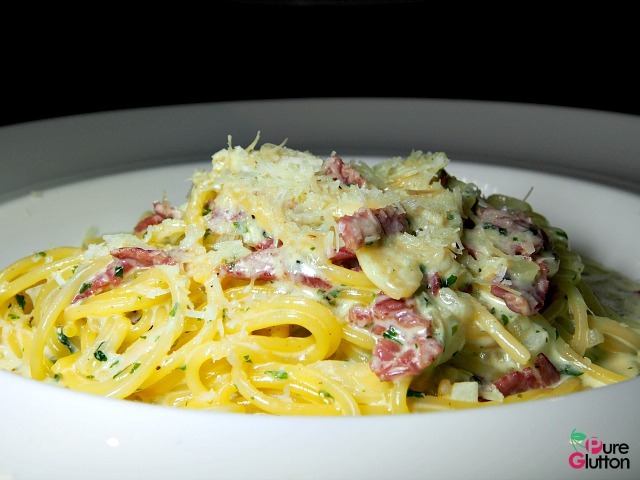 Classics like the Spaghetti Carbonara and traditional Bucatini Amatriciana were also featured by Chef Zampar. 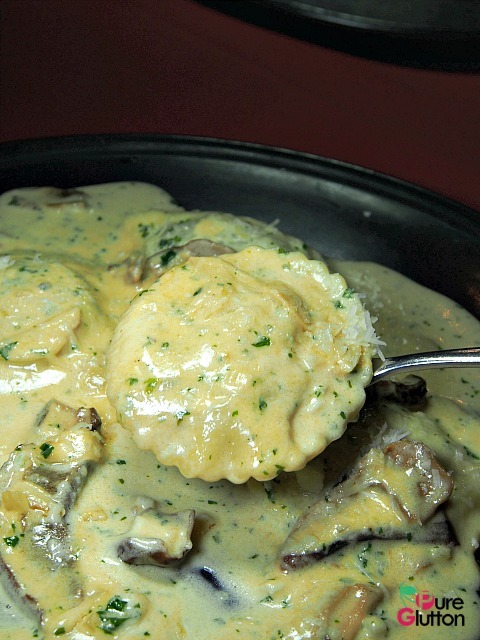 The bucatini is a rather uncommon pasta dish here. 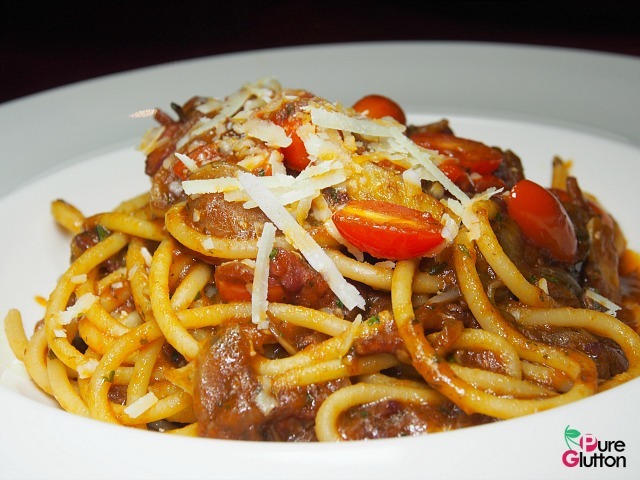 It’s like a combo of macaroni and spaghetti pasta drenched in hearty and mildly zingy tomato sauce with minced beef, beef bacon, onion, balsamic and shaved pecorino. It all added up to a wonderfully satisfying plate of pasta. 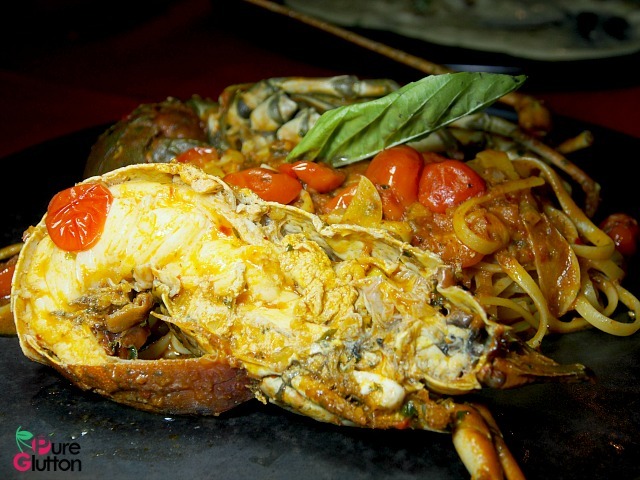 An Italian native, Chef Massimo Zampar was a guest chef from the Doubletree by Hilton, Johor Bahru. 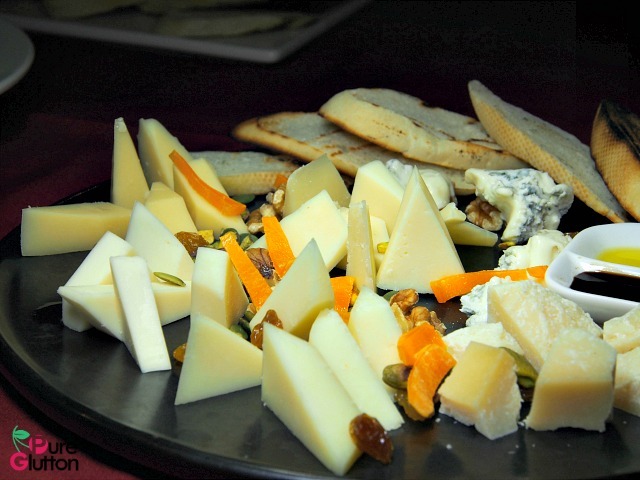 He crafted a special menu which featured outstanding appetizers showcasing premium cheese platters, original olive oil and Italian balsamic vinegar. 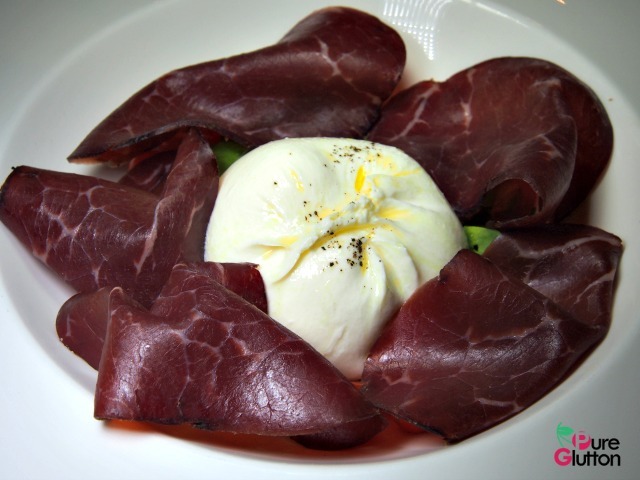 Cheese lovers would go nuts over the aromatic Italian Burrata with Beef Bresaola, Cured Salami, Buffalo Mozzarella and more. Ingredients used were flown in from Italy as only the authentic and specific produce would result in flavorful, full-body pasta sauces, according to Chef Zampar. Chef Massimo Zampar was born in Palmanova, Italy in 1978. 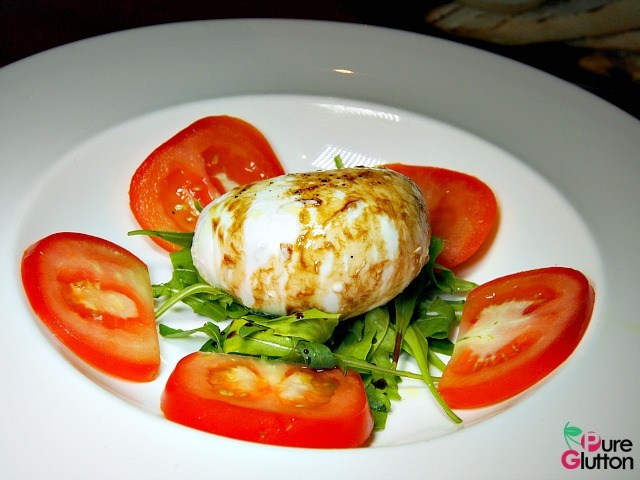 He was born and raised in the north–east of Italy and has always been a passionate cook. After graduating from the Chef’s School Friuli Venezia Giulia in Grado in 1999, he began his career between Atlantic Hotel in Lignano Sabbiadoro and Alleluya, Baglioni Hotels in Tuscany. 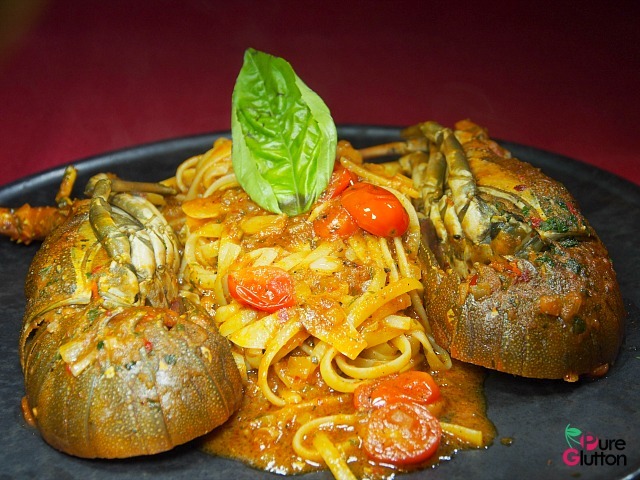 Once he was deeply specialized in Italian cuisine, he moved to London, where he worked as Chef de Partie from 2002 to 2004, in Carlton Tower at Grissini Restaurant which is a member of Jumeirah International Group. His first assignment in Hyatt Hotels took place in 2004, in Amapola Restaurant, Hyatt Regency La Manga in southern Spain. With more than 16 years experience in the culinary scene and having worked across Europe and in Asia Pacific, his creativity and innovation with Italian cuisine is limitless. With all the pasta and cheeses filling up our tummies, it was a difficult task to handle dessert. 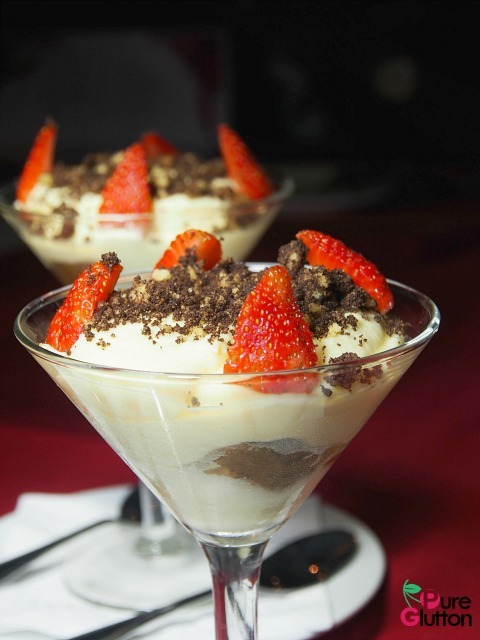 However, the good chef insisted that we should try his famous Tiramisu with Italian Mascarpone cheese, coffee and strawberries. Well, I’m glad we had that because it was simply scrumptious. The pastas and cheeses are featured in Uncle Chilli’s Bar & Restaurant. 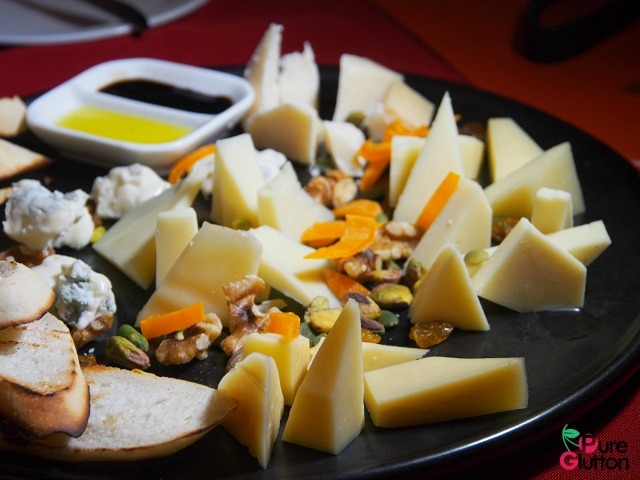 This charming joint has built a timeless reputation with its guests as a popular food haven with a gusto for fun, themed parties and live entertainment. Uncle Chilli’s may be almost two decades old, but it has aged like fine wine while keeping up with current trends in terms of its aesthetics, food as well as entertainment. Live performances are also a nightly affair with selected bands serenading you throughout the night! I always thought the crowd at this joint is pretty cool and they always seem to be having fun. For reservations, please call +60-3-7955-9122 extension 4063.